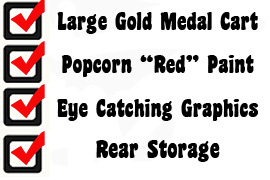 Gold Medals 2001 Citation Popcorn machine features a 16oz Cast Unimaxx kettle, eye-catching illuminated "Popcorn" white dome, and lower heating element. 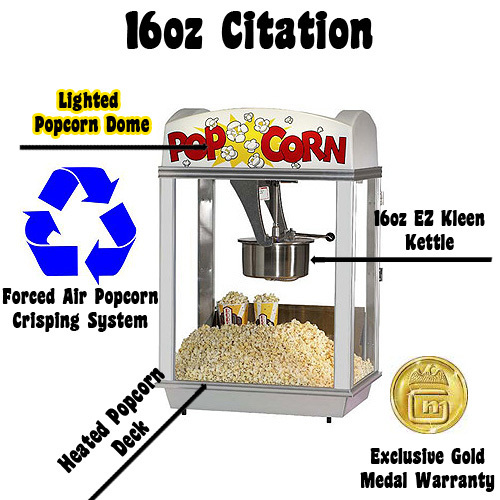 The Gold Medal 2001 Citation has a forced air popcorn crisping system that will keep your popcorn warmer, and fresher than most "average" popcorn machines. 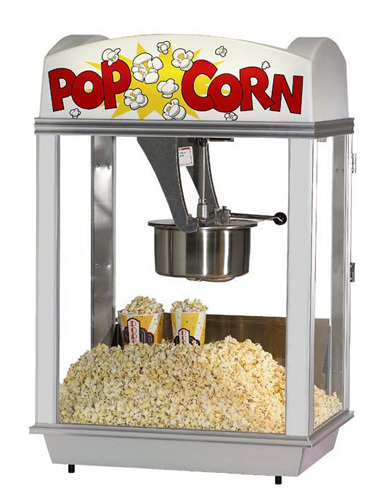 Gold Medals 2001 Citation Popcorn machine features a 16oz Cast Unimaxx kettle, eye-catching illuminated "Popcorn" white dome, and lower heating element.The Gold Medal 2001 Citation has a forced air popcorn crisping system that will keep your popcorn warmer, and fresher than most "average" popcorn machines. 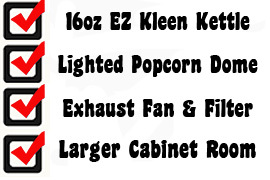 This is the basic Citation popcorn maker. The illuminated dome helps boost popcorn sales in any location. Extra working room versus other brands.